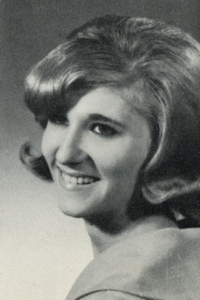 Obituary – Chitwood, Judie Lynn « Perry High School Alumni Association, Inc.
﻿Band 62-65, Homeroom Treas. 62-63, F.T.A. 62-65, Band Ensembles 62-63, All School Review 62-63, Christmas Vespers 62-63. 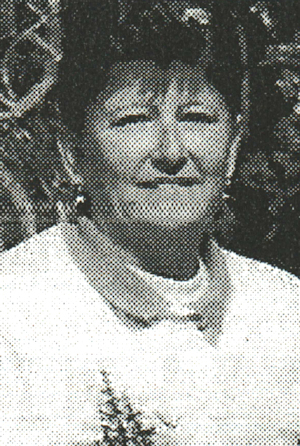 ﻿Judie Lynn Chitwood, age 59, formerly of Perry, passed away August 3, 2006, at Midwest Regional Hospital in Oklahoma City. Judie was an adventurer that celebrated life and all of its wonders. She was employed for many years in the travel industry where she helped direct other adventurers to new destinations. Judie was not only an adventurer but also the friend that everyone should have. She exemplified the traits of selflessness, loyalty, kindness and the ability to make every moment special. Judie’s friendship not only extended to people, but also her pets or any animal in need. Judie enjoyed gardening, cooking, bird watching, fishing and the outdoors. Judie was born on November 11, 1946 in Chandler, OK to George and Helen Chitwood who preceded her in death. She was a 1965 graduate of Perry High School. She is survived by her friend of many years, Julie Duff of the home; her sister, Corky Mayes and husband Byron of Edmond, OK; two nieces, Pamela Zumwalt and her fiancée Mike Haggerty of Oklahoma City, and Dina Anderson and husband Scott of Owasso; a great nephew, Zachary Zumwalt and wife Brittany of Oklahoma City; and two great nieces, Kaylen and Kristen Anderson of Owasso. At Judie’s request, there will be no formal service. A viewing will be Monday, August 7 from 9:00 a.m. until 9:00 p.m. at the John M. Ireland Funeral Home at 120 S. Broadway in Moore, Oklahoma. Family and friends will gather at Judie’s residence to celebrate her next big adventure at 5:00 p.m. Monday, August 7.